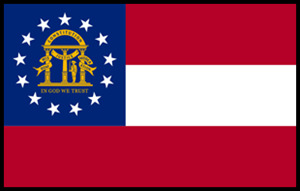 The one of the original thirteen colonies Georgia is the 24th largest and 8th densely populated state in United States. Atlanta is the "Peach State" capital and largest city at the same time. All of the interesting things are around Atlanta, including state's largest metro area: the Atlanta metro area. Within the state's borders is located one of the most fascinating mountains: the Blue Ridge Mountains a part from the Appalachian Mountains systems. Being neighbors with South Carolina, North Carolina, Tennessee and Alabama influence the "Peach State" economy and infrastructure in many ways. Atlanta- the biggest city offers a lot to those who seek to grow in the food and beverage production industry which is always a good reason to seek an auto transport service. Choose wisely before relocating which region of the state is going to meet your needs. The Ridge and Valley region is more for those who seek a balance between the urban life and the life in the mountains. On the other hand the region influenced by the Atlantic is for more aquatic orientated people who love to wake up by the smell of the salty ocean water and have passion for water sports and activities. State's climate is mostly a humid subtropical, the typical weather is hot and humid summer and mild to average winter. The forecast in the mountain regions may differ from others regions due to the high altitude. Located right next to the Atlantic ocean Georgia is powerless against hurricanes, albeit there are a few records of direct hurricanes on the coast line. Most of those winds weaken over time and bring a lot of storm winds and heavy rain brushing the coast on their way north. The numbers of climate control stations is high in the area and a lot of people are working on the safety of the citizens in the state, so the weather variety should not get into account for your further auto relocation thoughts. 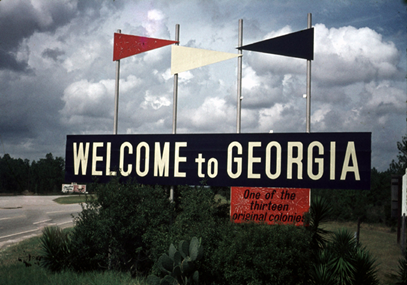 If we consider Georgia as a stand-alone country, It would rank at 28th place in the economy factor in the world. Some of the most famous brands have their companies headquarters placed there (Coca-Cola, Home Depot, UPS). 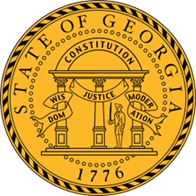 Georgia's I-75 and I-85 are overseen by the Georgia Department of Transportation, which is part of the executive branch of the state government. Those Interstates helps a lot, making the auto transportation process easy, safe and fast. Do you enjoy the stunning skyline access and huge amount of professional resources and places to visit and explore? VAN3 Auto Transport has many experience in shipping to that region with drivers that are well prepared to drive for long and exhausting period of time. We offer our customers THE BEST SERVICE in our industry. Make sure to check our Car Shipping Calculator or call our 24/7 Hot Line: (708) 357-8698 to make the right move!